Kids! 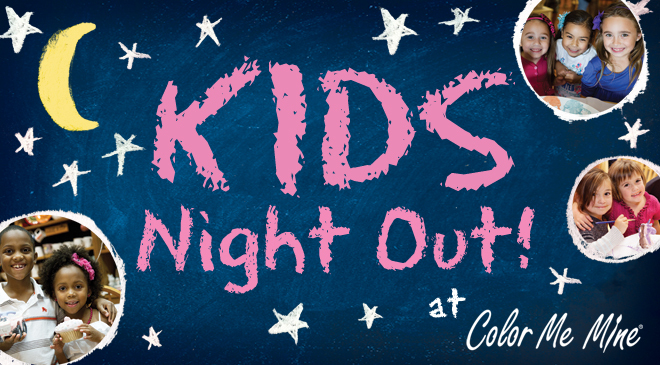 Join us for a fun night out at the studio at our Kids Night Out! Kids Night Out is KIDS ONLY! Kids age 5 and over. Leave your kids with us, and we’ll show ’em a good time! And you get a few hours of whatever-you-want-time! If your child cannot handle being without his or her parent during Kids Night Out, we ask that you choose any other time to paint in our studio and spend some quality time with them.